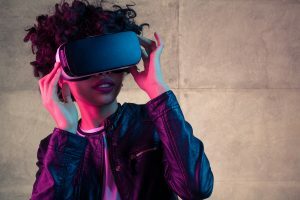 Virtual Reality is marketed for gamers, but there are many other uses for this technology and its popularity continues to rise. What is it about the immersive nature of Virtual Reality that appeals to us? Virtual Reality and its sister technology, Augmented Reality, have been used in many different forms in a wide range of settings including leisure, medicine, education, art and in the military. Join Dr Rachel Menzies from the University of Dundee to discuss the science behind virtual reality and augmented reality. How can these technologies be used? What are the benefits to society? How can we push the boundaries of technology even further? Join us at Café Science Dundee at Avery & Co. at 34 South Tay Street on Monday 12 March 2018, at 7pm. This is a free event and everyone is welcome. There is no need to book in advance but arrive early to avoid disappointment.